Vauxhall has yet again been called upon to extend the fleet of National Windscreens, with an order of an additional 30 of its award-winning Movano vans. 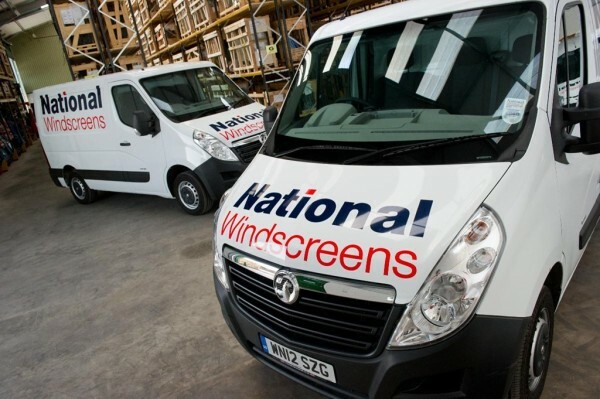 National Windscreens’ fleet serving the Midlands, South and West of England, now includes over 100 Movanos. This means Vauxhall has more than a 50 per cent share of the windscreen fitting fleet of the UK’s largest independent vehicle glass replacement company – a percentage that is expected to increase over the next two years. The 30 additional L1 H1 Movanos are powered by Vauxhall’s 2.3 CDTi engine, producing 100PS and providing an impressive combined fuel economy of 36.2mpg. The vans, which are liveried, include optional rear parking sensors and have been racked out internally to provide specific storage facilities for safely transporting windscreens up to the size of those fitted to the largest HGVs on the road. “We originally ordered 24 Movano vans in mid-2012 and very quickly ordered 48 more in 2013 as we were impressed by the heavy-duty components and durability of the van,” said Phil Lomas, Director of National Windscreens. “Many of the original vans have already covered over 50,000 miles and have proven reliable, economical and a very big success with our mobile windscreen technicians who are using them. Durability and premature failure were major issues for us with our previous van fleet, significantly adding to the running costs of our vehicles, something that has not been an issue with Vauxhall,” Phil added. “It is great to hear that a valued customer has ordered yet more vehicles due to satisfaction of existing Vauxhalls on its fleet. The addition of these Movano vans will allow National Windscreens to reduce the running costs of its fleet while increasing its reliability and efficiency,” said Richard Collier, National Commercial Vehicle and B2B Sales Manager at Vauxhall.